It’s the same with art as it is with love: the big encounter only happens a few times in a lifetime. This time it is love at first sight. 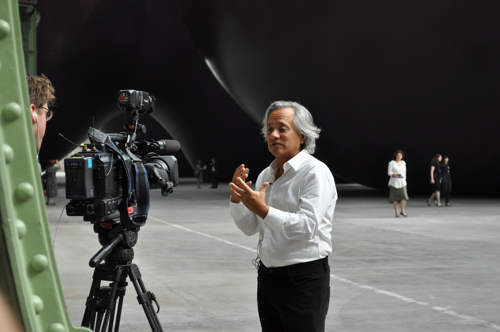 Anish Kapoor’s piece at the Paris Monumenta is the breathtaking reinvention of beauty. 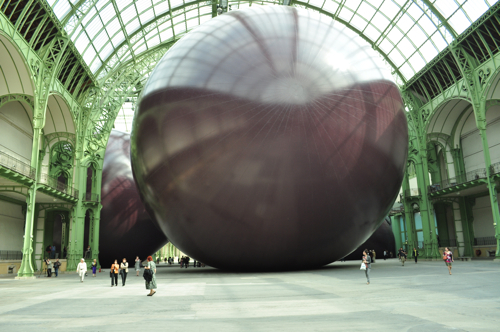 “This is not just another Monumenta, this is an event.” Jean de Loisy, curator of the show in the Grand Palais, is absolutely right. We deal here with the reinvention of reconciling beauty in the 21st century, as he put it. It’s all about opening your eyes – if not your heart. It’s literally about thinking outside the box. “I want the viewer to have a moment of shock, aesthetically but also physically, so that when you enter the Nave your raise your eyes and say: ‘Wow! Could it be like that!” Wager won! You have to walk into the piece. Nothing very new, I agree. But the moment you pass the revolving door, you will be shocked: the space where you suddenly find yourself is shockingly beautiful, shockingly unusual. 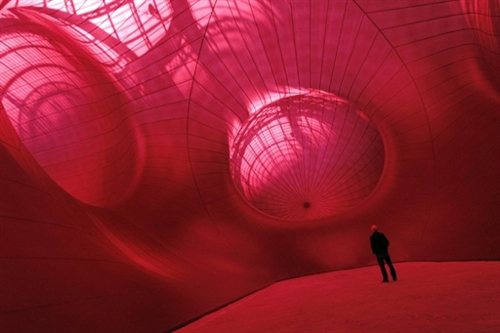 The viewer is drenched in red like penetrating another world. The immense belly of a whale? Your own prehistory? A cathedral of future times with future beliefs? Or just the inside turned outside – or vice versa? It’s an immense space made of a translucent material, blown up PVC actually, which is in play with the light flooding in from the Nave's glass roof. But this is all I’m going to tell you. Because the less you know, the more you’ll be surprised. 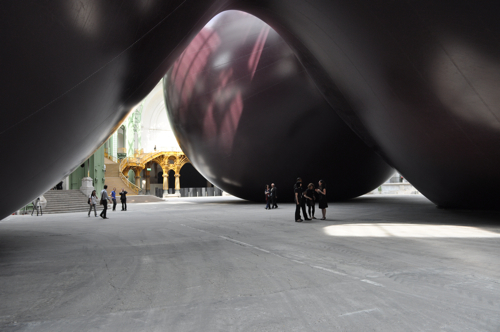 Or don’t you want to be part of those who enter the piece and say “Wow!” The Grand Palais in its Belle Époque beauty was, of course, a huge challenge, even for Kapoor, who was talking about “one of those remarkable spaces in the world”, adding that “above all, the light is a killer”. Once you’ve seen the piece, you’ll understand that he transformed the light into a poetical form of penumbra. Size might matter in modern art. But here it’s not about power, it’s about blown-up beauty.